Description: The body is blue-grey with distinctive lines of chestnut brown blotches. Adult fish can be up to 12cm in length. Habitat: Lives on gravel to muddy seabeds with scattered rocks. Distribution: Eastern Atlantic from the western English Channel to the Canary Islands and Madeira. Similar Species: Paler and with more obvious longitudinal markings than other species in the area. 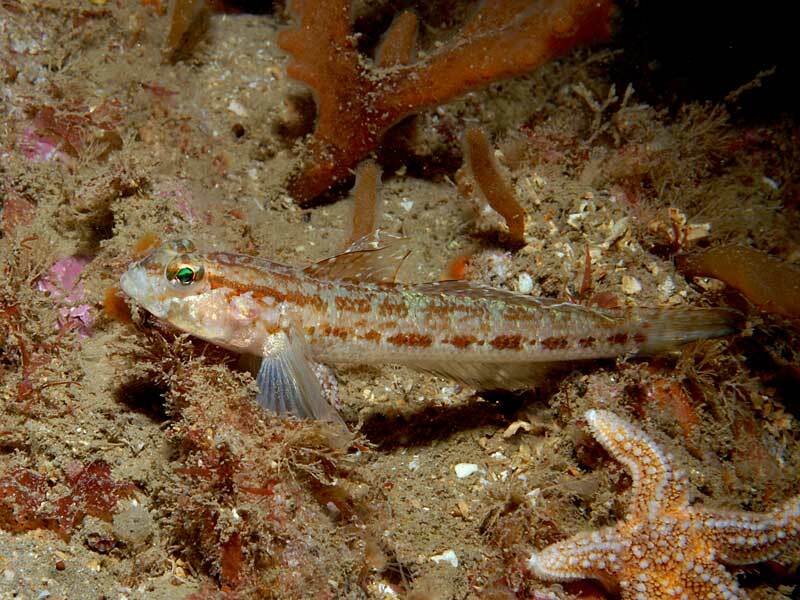 Slim goby living out in the open. Picton, B.E. & Morrow, C.C. (2016). Gobius gasteveni Miller, 1974. [In] Encyclopedia of Marine Life of Britain and Ireland.